A big storm hit us this morning with winds from the Southeast… the leak was worse than we’ve ever seen it. Thought this would make it easier for Roofcrafters to have all the history on the window leak we have in the new window. 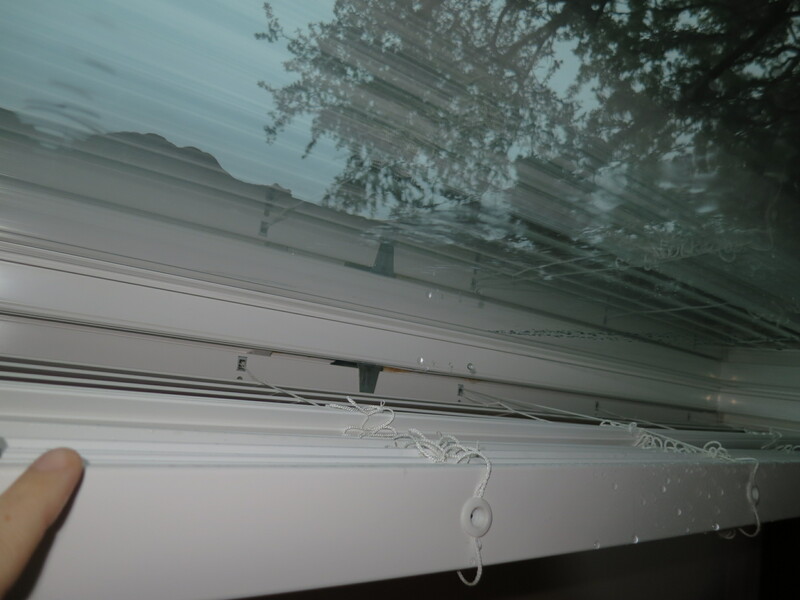 The leak is in the dinning room window coming from above. Not sure if the leak is in that window or the window above (it was replaced also) and the water is leaking through the wall. 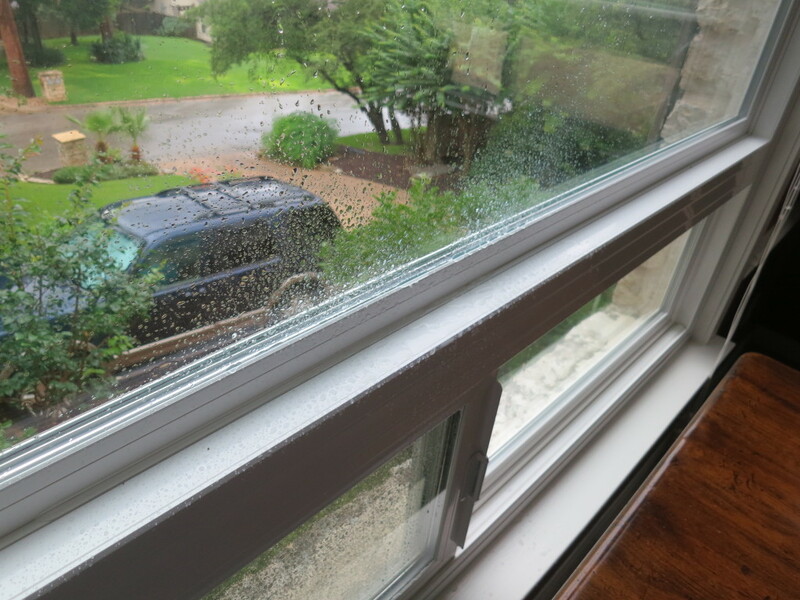 The leak only happens when the storm comes from the east and the window pushes the rain against the window. Troy came out that same day and did some chaulking, didn’t solve the problem. 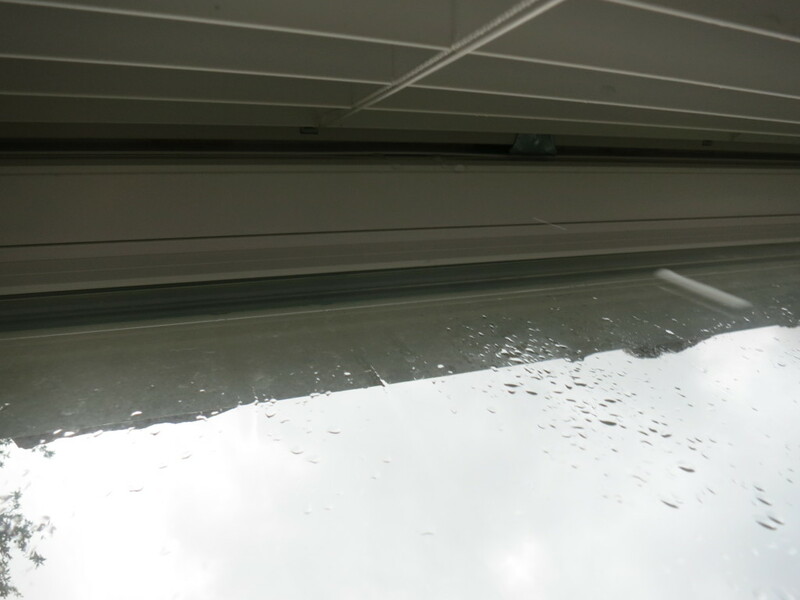 Description sent back on June 26, 2014: Thanks for coming out yesterday… while the caulk slowed the water flow, the towel on the inside is soaked after the rain last night. Can you please come back out and see if you can figure it out. 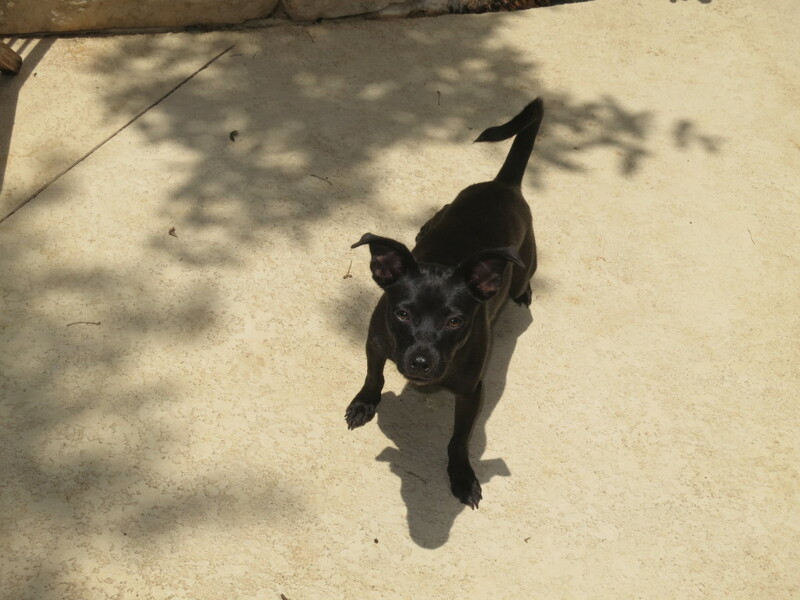 Troy came the following day – unsure what he did but the rain ended for the summer so hard to tell if it was fixed. Nov 22, 2014 – Email: I’m sure I’m the last person you want to hear from, but the leak that Troy worked on is still flowing. I took a video of the leak to help you pinpoint where it’s coming in front. During one of the cloudbursts today, I got 1/2 gallon of water in an hour. 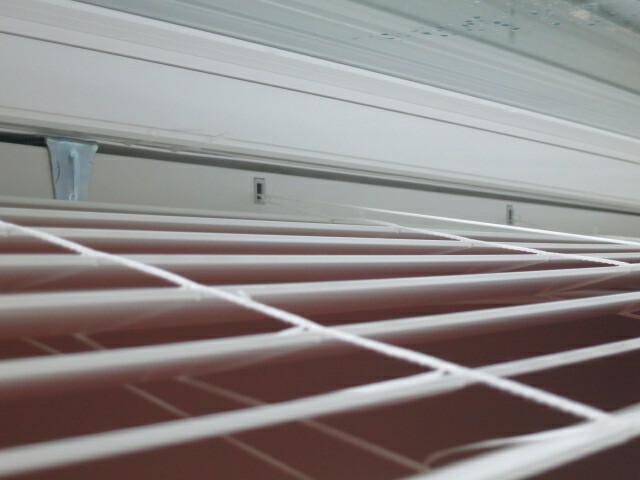 I checked the window above it since Troy thought it might be seeping down, but there wasn’t much water build up on the sill. I went on vacation, but Al came out the week we were gone: Yes Al did make it out last week and he did silicone some areas around your window, this is probably what you are seeing. I assume what you are seeing is on the outside, correct? Please keep your eye on this area and if there is further leaking let us know right away so we can further evaluate. All spring, the window held fine. I’m assuming it was because most of the storms came from the south or west. 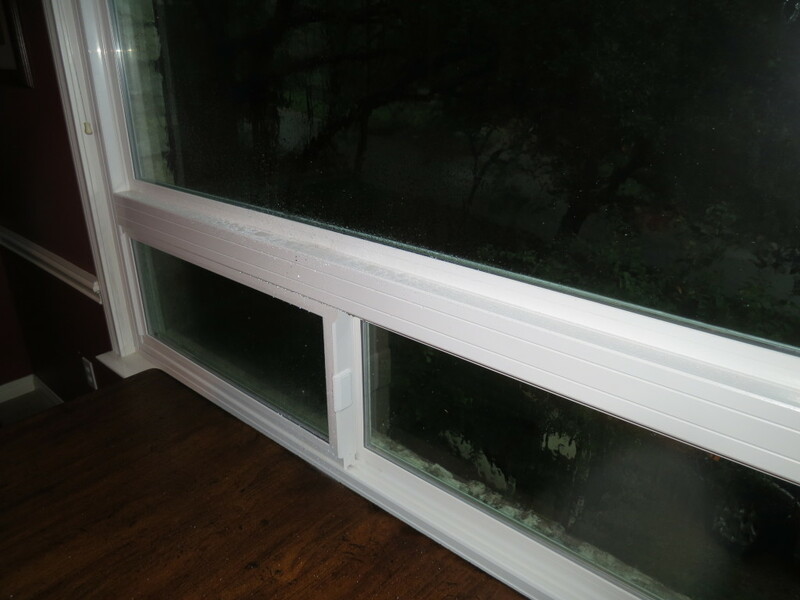 Once we got the rotation coming off the gulf this weekend, the weather came from the east and the window leaked again. Although, not the volume it did before. I’m unsure if it’s because the storm was short lived or the leak has been partially patched. This entry was posted in Other on June 26, 2015 by admin. 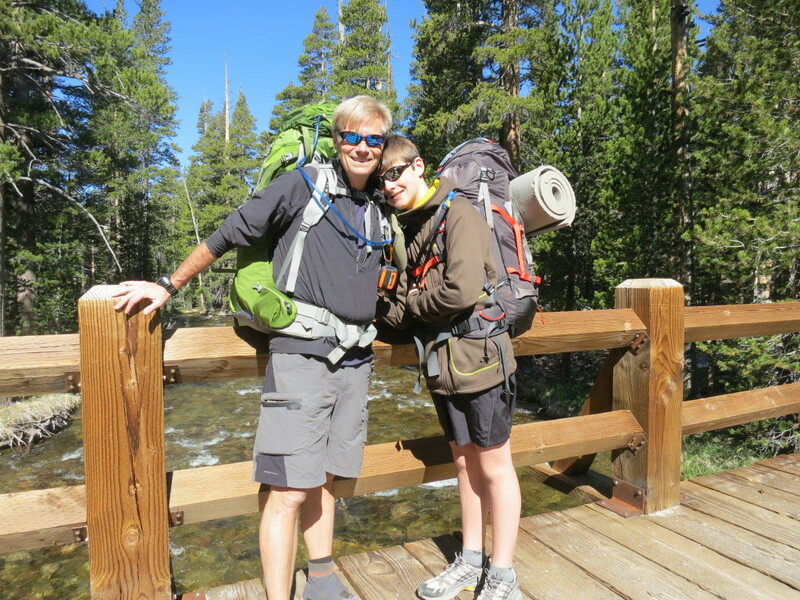 For the last few days, Preston and I hiked in Yosemite, We hiked up Rafferty Creek to the area around the High Sierra Camp. 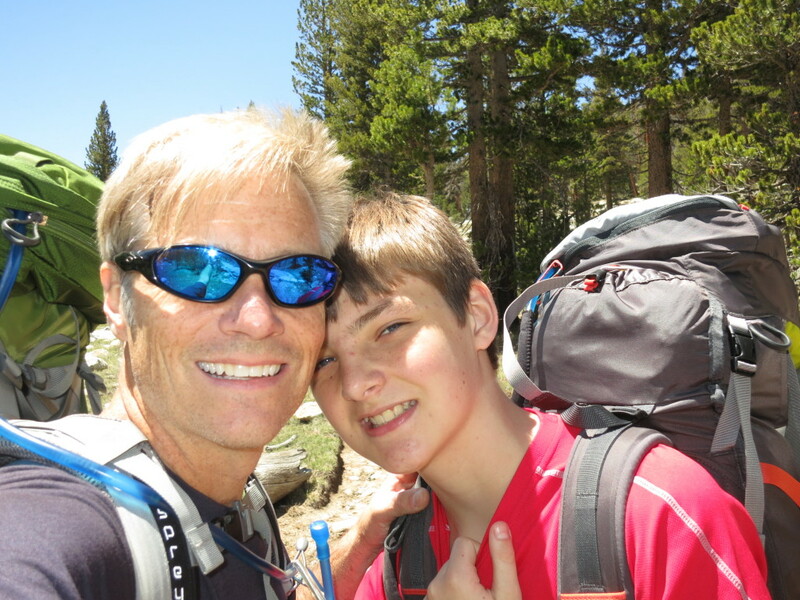 The trail climbed about 1,500 feet over 5 miles so we took it slow since we weren’t acclimated to 88600 ft yet. When we hit the pass, the mosquitos were out so we looked for a place to camp so we could get shelter from the bugs. 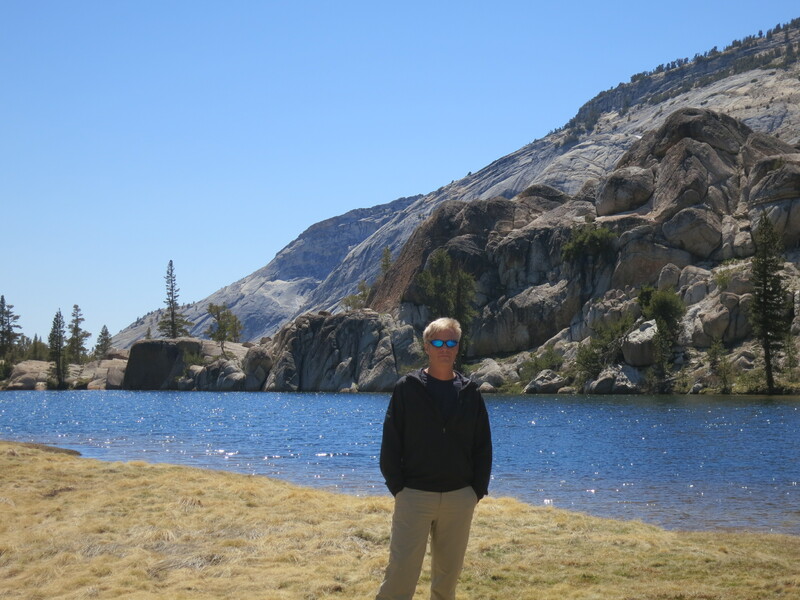 We decided on Booth Lake but we stayed away from the water and camped on the tarns about 100 feet above the lake. It was better, but the mosquitos were still bad. 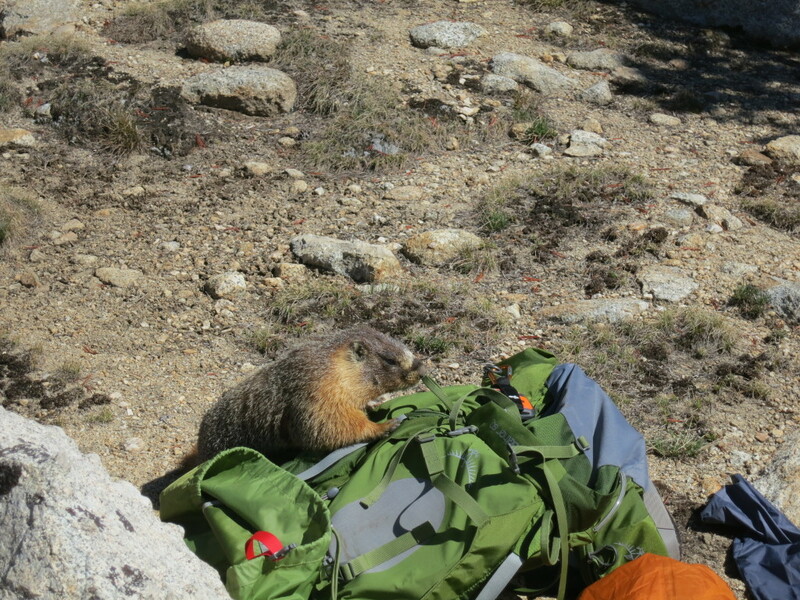 Our camp was on a rock shelf that still had snow fall and a very daring Marmot. He reminded me of our dog Izzy since no matter how much noise we made, he kept coming closer to check out our gear for food. 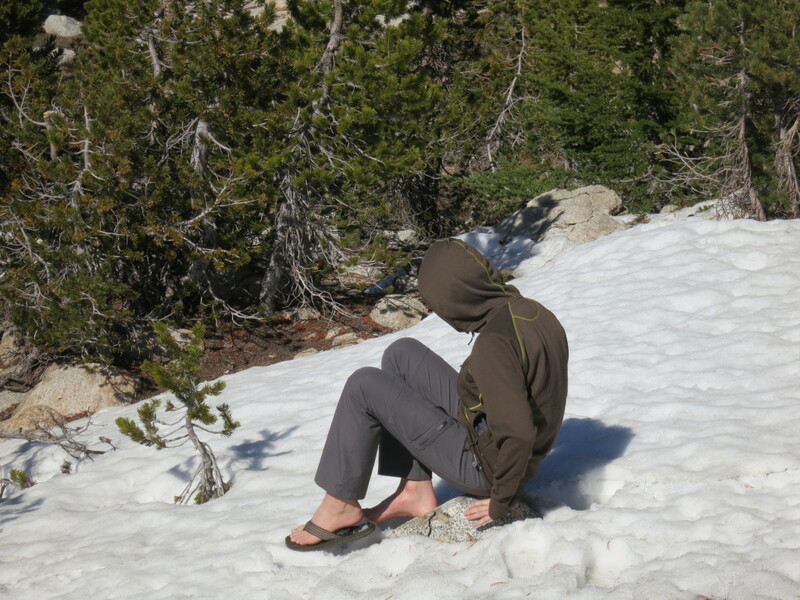 Preston wanted to test the snow and found that the warm temperature had melted it enough to cause him to “post hole” in sandals. 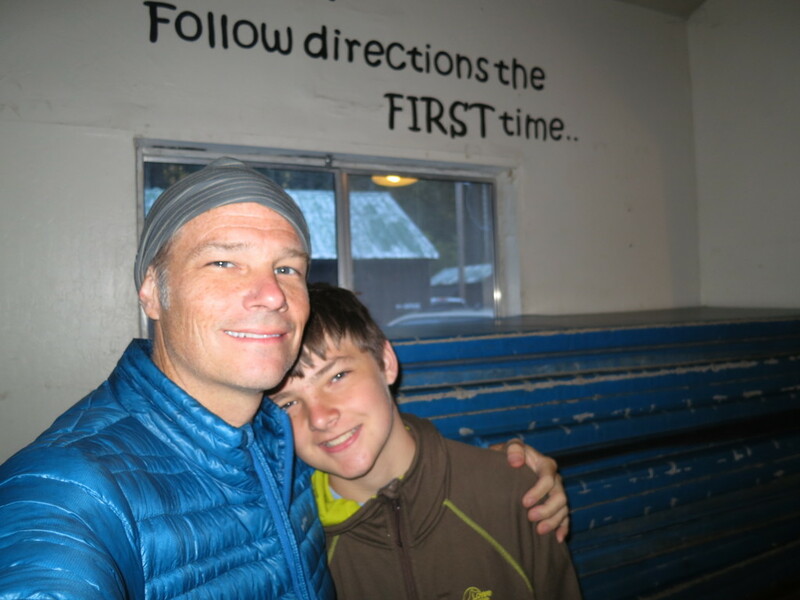 We went to bed early that night but woke up with sunrise before 6am. Since the next day only required us to go about 3 miles, we decided to climb the peak across from the lake. 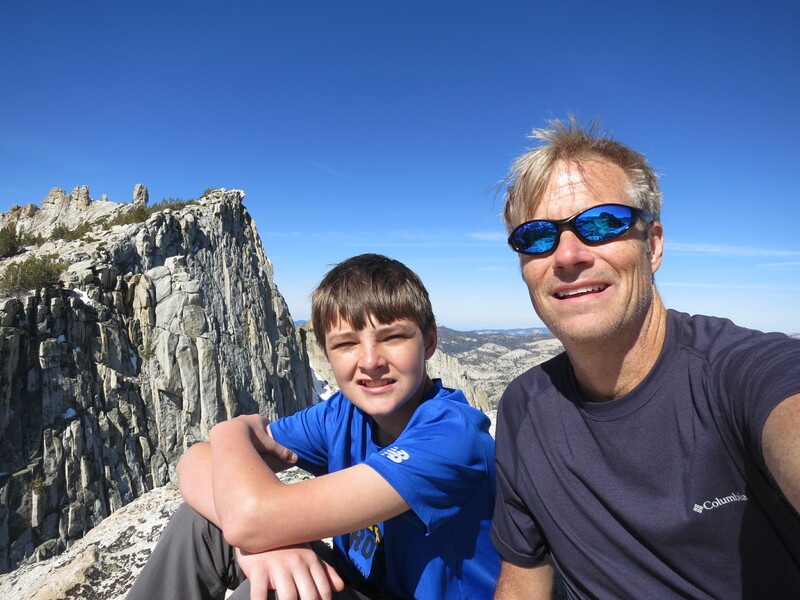 The unnamed peak looked to be about a 1500ft climb with a reasonable approach. We set off up the trail so we could get around the lake before going cross country. The cross country route required a little creek hopping, but we finally reached the slope on the other side and started a switchback route up the face. Once we hit the halfway point we found a crease that a creek created and we followed it. 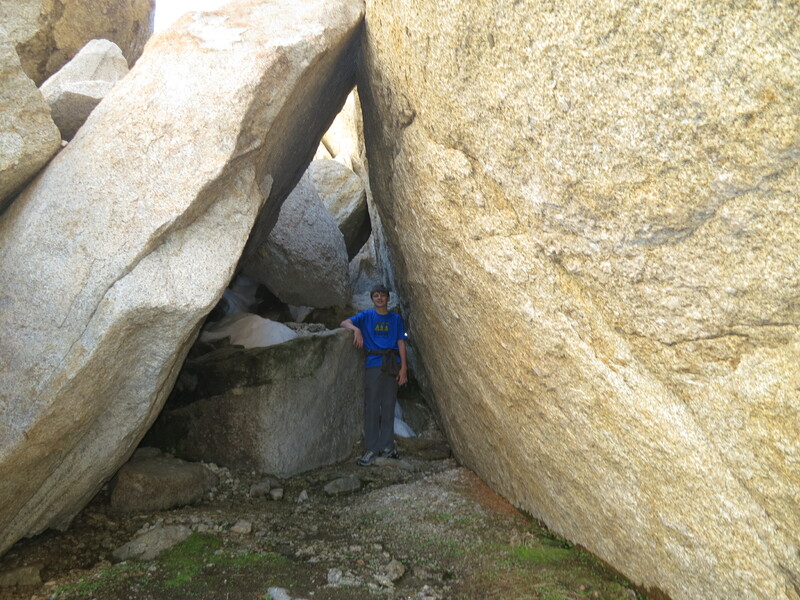 At one point, it was choked with boulders that required we to go around, but Preston was determined to find a route through it. 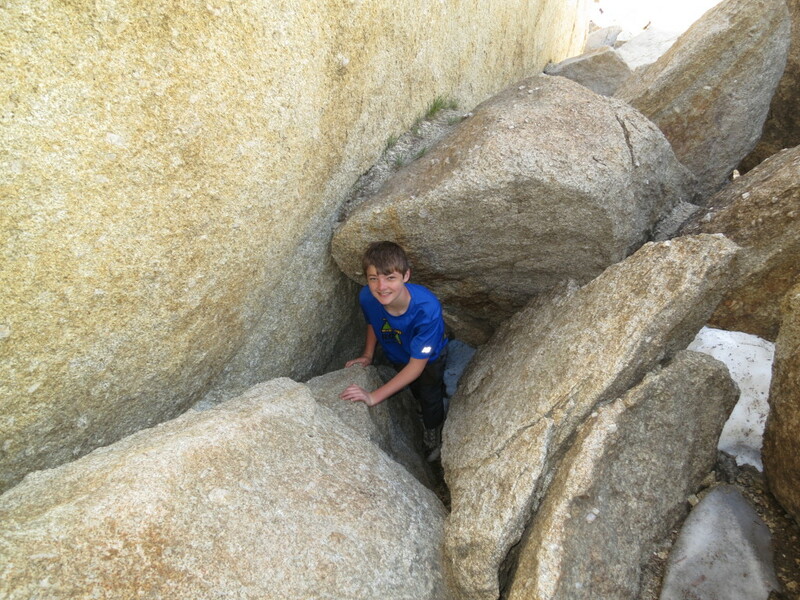 The pictures below are of him entering and exiting the pile of rocks. 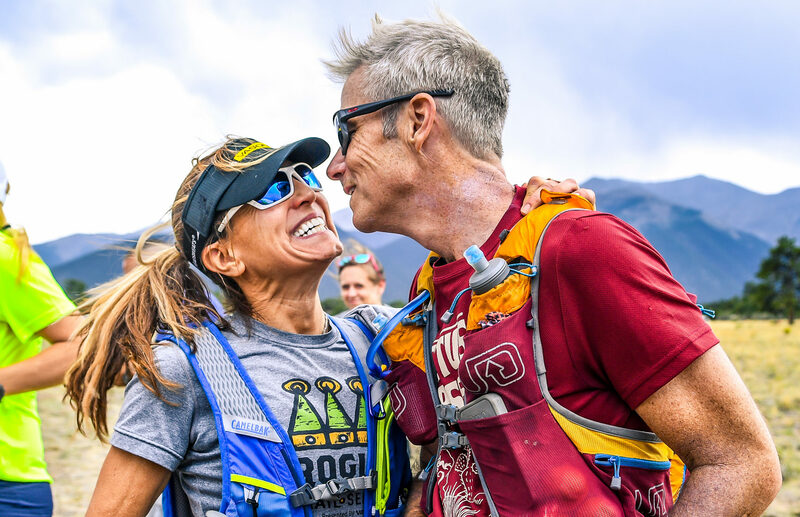 Once we got to the saddle, we saw that the ridge was sheer on the opposite side and the side we were on had huge boulders that made the climb pretty risky, We decided to call that our summit at 11,100ft. In the background of the picture below, you can see how steep the opposite side of the mountain was. 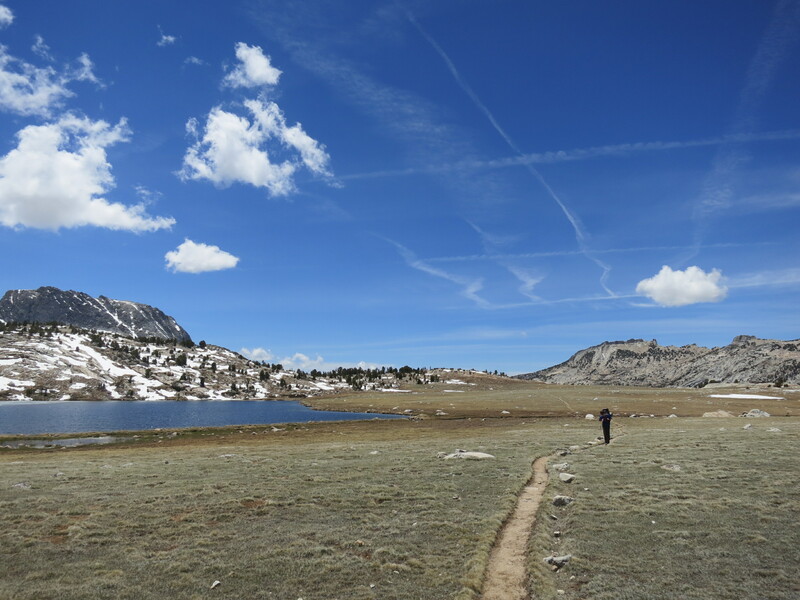 When we got back to camp the bugs were coming out so we packed up and started climbing to our next camp site, The trail had a lot of snow on it that was slowly melting turning the rest of the trail to mud. 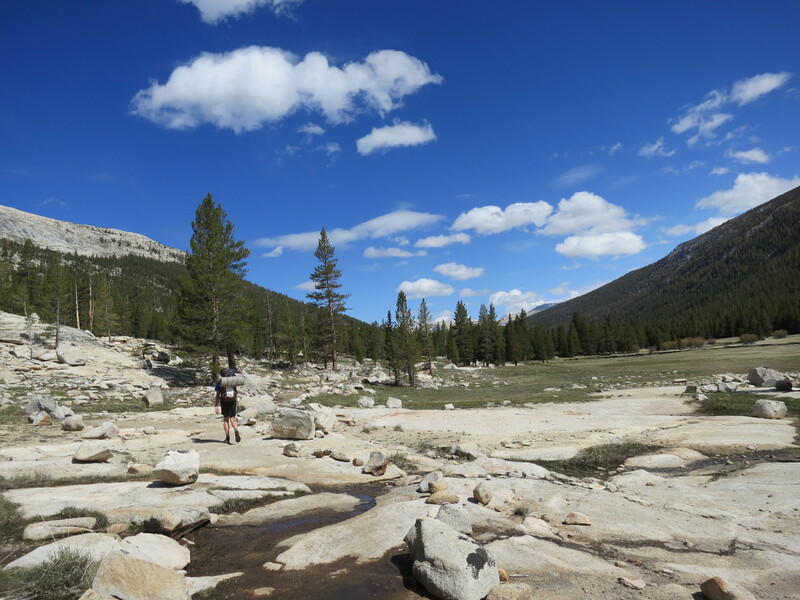 We climbed about 700ft and crossed into the Evelyn Lake basin which was where we were spending the next night. At this altitude, there were no bugs, but it was cold and very windy. The lake was still half covered with ice and there was very little cover. We found a spot in a few trees that helped a little, but we settled into the tent to play cards for the rest of the day. The next morning, we started down the trail. Our destination was about 7 miles away at a much lower elevation. On the way we determined that if we felt good enough, we’d go 4 miles further back to the car and see if we could sleep warm and bug free the 3rd night. Preston set a serious pace and we did the 11 miles in less that 4 hours, We stayed in a hotel in Oakhurst last night and watched the first game of the NBA finals. 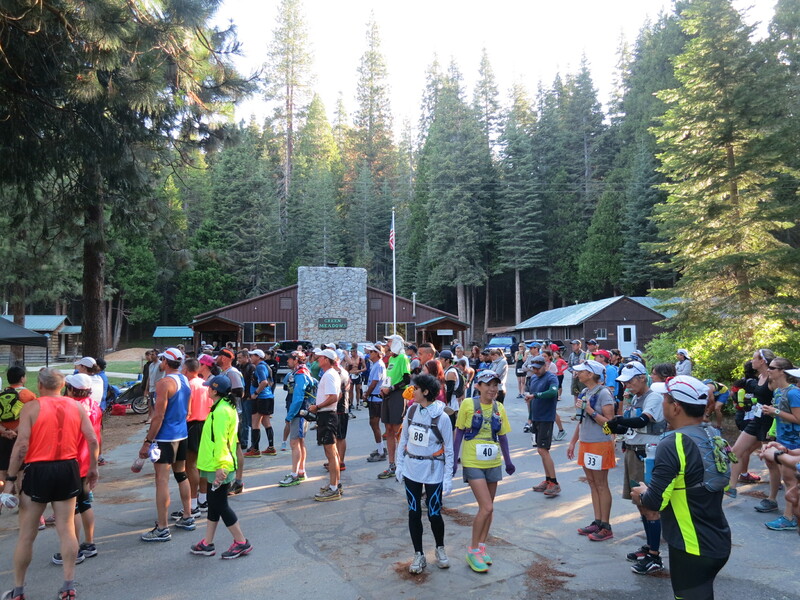 Tomorrow, I’m running the shadow of the giants 50k again. The weather looks like it’s going to be perfect. All the pics are below. 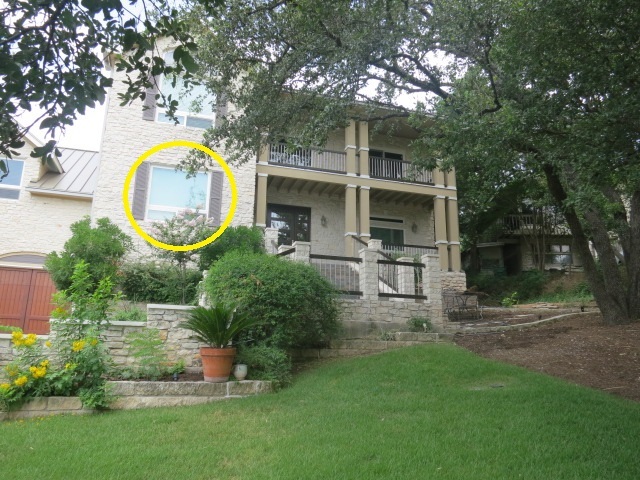 This entry was posted in Hikes on June 5, 2015 by admin.